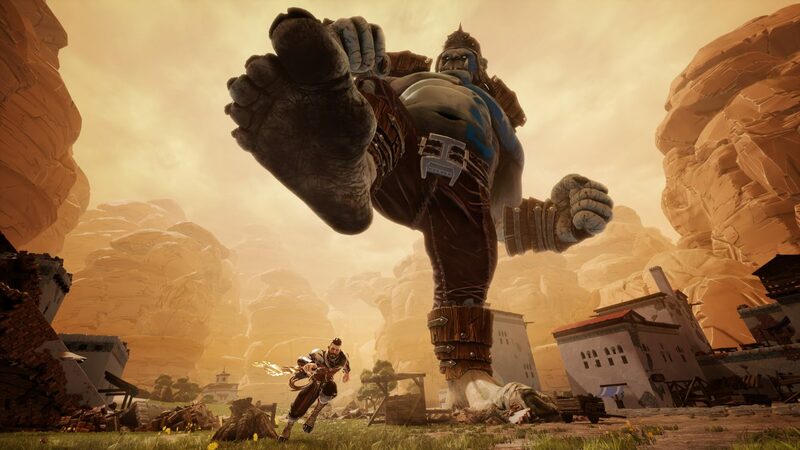 Iron Galaxy and Maximum Games are currently working on Extinction, a game where players have to take on waves of massive ogres by themselves, for PC, PS4, and Xbox One. Today, they released a brand new video for the game delving into the skill tree a bit more and going over the different skills Avil, the playable character, can use to fight his enemies. The ogres will sometimes wear different types of armor that are impervious to Avil’s dismembering Rune Strike, so the players will have to use different attacks to fight them. For ogres wearing Gold Armor, Avil will have to use his whip to grapple onto the ogre and launch himself up to their level. In order to dismantle Iron Armor, players have to target specific locks on each piece, but the players can upgrade Avil to take out these locks in one hit. The most badass looking armor of the bunch is the Bone Armor, and it can only be destroyed once the flames inside the skulls on each piece of armor are put out. This only happens in a brief window after some of the ogre’s attacks, so players must unlock and upgrade Avil’s ability to slow down time. Finally, Brightsteel Armor is indestructible, so players might not be able to take down ogres wearing that armor; instead players will have to lead them away using a variety of traversal abilities, which players can easily upgrade. 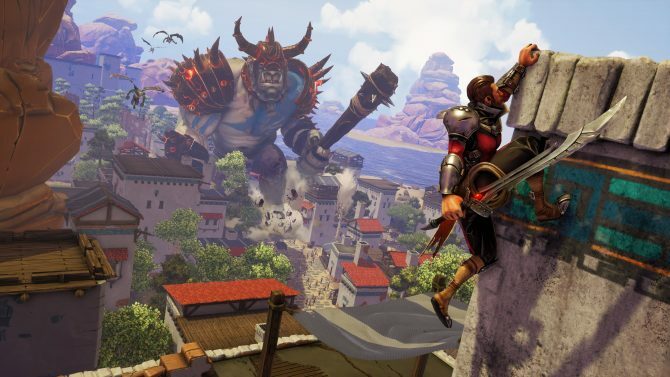 If you want to learn more about Extinction, you can read our preview of the game from E3 and our interview with the game’s Executive Producer, Derek Neal, who is actually narrating this new video. You can check out the new video below. 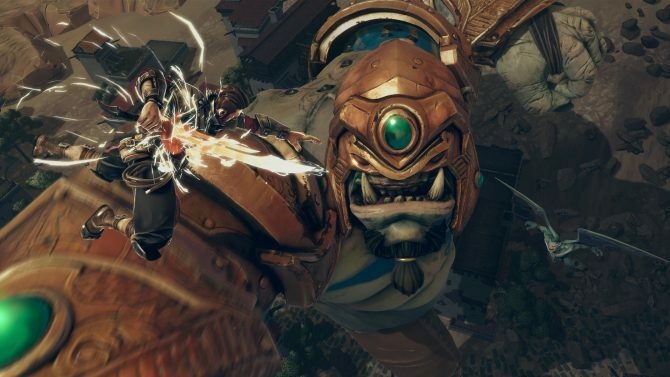 Extinction is currently set to release on PC, PS4, and Xbox One in Spring 2018.